Welcome to Supernatural, a show where any Winchester BFF doesn’t die permanently. Note: This article contains spoilers for Supernatural Season 13, Episode 3 “Patience”. Welcome to Supernatural, a show where any Winchester BFF doesn’t die permanently. Yes, some of their enemies may say that their curse was having anyone killed just by mere affiliation, but as any true, blue Winchester buddy could attest – they come back in one way or in another. Toward the end of the third Supernatural episode, Dean still doesn’t like Jack around and even argued with Sam about it. Dean is still broody and pissed at the whole Jack thing because while the latter was still inside the womb, Lucifer’s spawn manipulated Castiel which ultimately led to the angel’s demise. But lo and behold, once Jack called Castiel’s name, the trench-coat wearing angel regained his consciousness in a very dark and empty place, which is revealed to be the infamous Big Empty. Angels Don’t Die, or Do They? In many of Supernatural’s episodes, it's revealed that angel blades and holy oils aren’t the only weaknesses of angels. A lot of angels have fear, respect, and maybe a twinge of envy for Castiel because he has been resurrected many times. The first time Castiel died was when he tried to lure the archangels by posing as a threat to the Prophet Chuck. The second time was when Lucifer exploded him at a sub-atomic level. 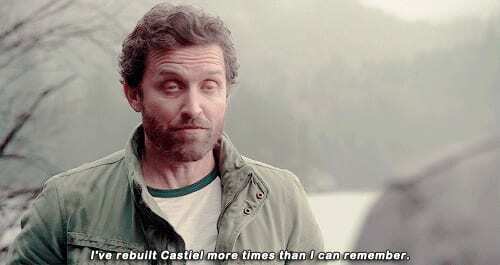 This killed his vessel, Jimmy Novak (and wasn’t brought back), but Castiel wasn’t really dead per se; like the year he spent between Seasons 5 and 6, without a vessel, he’d be “a multidimensional wavelength of celestial intent”. The same thing happened to Michael when Castiel molotoved his Adam Milligan vessel. Being an archangel though, he had simply rebuilt that vessel himself. However, beings that predated angels were much stronger; the Leviathans, Eve, and Death. Among the weaknesses of regular angels are also the Princes of Hell, and a cambion like Jesse Turner could also single-handedly wipe out the Heavenly Host with a word. Angels are made of pure light, native to Heaven. They were created to serve as God’s servants, soldiers, and messengers. They are powerful supernatural beings without a soul; they simply exist. So when they are in their true angel form, it’s practically impossible to fight them; demons flee at the sight of an angel spreading its wings, and most humans can burn out their eyes at the overwhelming sight of one. As seen in Supernatural, an angel is most vulnerable when it is inside a vessel. Due to Metatron’s spell, many of Heaven’s angels have broken wings, or couldn’t teleport which make them prone to any kind of attacks when they are inside their human vessels. It’s very difficult to kill a multidimensional wavelength of celestial intent, but when it is inside a human vessel, they are vulnerable to weapons and higher powers. So, when this happens, where do they go when they die? Do they simply cease to exist or do they go to a place where they can still exist if their consciousness remains with them? Humans either go to heaven or hell (and if they are restless souls, they remain on Earth), but would ultimately go to their final destination. When monsters die, their souls go to Purgatory (monster heaven), where they will hunt or be hunted for eternity. Castiel once addressed the big question while he was in Purgatory; where will a monster’s soul go when it dies inside Purgatory? The very same question applies to angels and demons killed inside a vessel. We finally saw The Empty in Patience. It is an endless realm of nothingness revealed to be the location where Castiel was trapped. According to Billie, this is where she would toss Sam and Dean’s sorry asses because there is no going back from The Empty. But how is it that Castiel could claw his way back to our reality? Castiel wasn’t being punished, but he died. The Empty was certainly gloomy, but there was no sign of torture devices that might have indicated Castiel was being tormented during his stay; so maybe The Empty was a place unique for each soul/being trapped inside it. Primordial entities like God and The Darkness can create absolutely anything – this includes multiple realities and universes. One could infer that The Empty is one of the universes Chuck has created for his own purpose. It could very well be the place where beings like those who die in Purgatory eventually go to. It is like a second death. This place could also be akin to a recycle bin. After all, when Castiel is resurrected, he’d be restored into a full Seraph again. 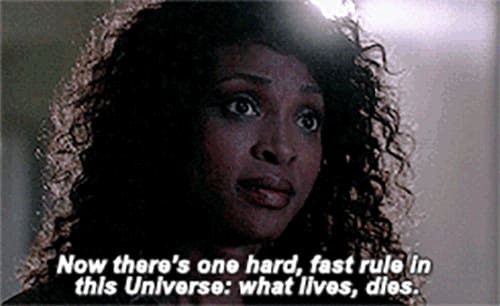 Castiel was in one of the worlds where a being that ceases to exist goes; a world that exists outside our reality because it would be against the natural order for them to remain. When Jack called out Castiel’s name, the trench-coat wearing angel regained his consciousness. How the hell did this happen? Billie did say no one ever gets back from The Empty, right? Well, for starters, Jack is half human, half spawn of a primordial entity. Jack’s raw power – a combination of angel grace and human soul – brought Castiel’s consciousness back. And so long as there’s a consciousness, life can exist. Ultimately, we could say Castiel’s resurrection depends on Chuck’s will, but where’s the fun in that? Either way, whoever’s the reason for Castiel getting back to our reality, we have to be thankful. With Mary and Lucifer trapped in an alternate universe, Sam and Dean need all hands on deck because they’re dealing with a whole new set of tiddlywinks now. #Supernatural airs every Thursday on The CW.